Under European Law, you may be entitled to claim compensations for delayed/cancelled flight of 3 hours or more. Under European Law, you may be entitled to claim compensations for delayed/cancelled flights of 3 hours or more. By ticking the checkbox you are agreeing to our terms and conditions. We are the specialist in flight compensation claims. Once you instruct us, we will contact you to obtain the necessary information and authority to investigate your flight delay claim. This will enable us to start the process and begin action on your behalf instantly. We will then confirm that your claim is a valid one and obtain any further evidence from you to support your claim. We will then package and present your case directly to the airline and fight for the maximum compensation award for you. We will deal with all communications with your airline and any other professional bodies and will keep you updated throughout the process until your compensation award is with you. Money I would never have had. Just gave them the details which I had fortunately written down at the time and unexpectedly got the cheque some time later. No problems. thanks. Fab Service. Just gave them flight details and a few months later I had a fab cheque, wouldn’t hesitate to use them again. We specialise in flight delay compensation claims. Once you instruct us, we will contact you to obtain the necessary information and authority to investigate your flight delay compensation claim. This will enable us to start the process and begin action on your behalf instantly. We will then confirm that your claim is a valid one and obtain any further evidence from you to support your claim. We will then package and present your case directly to the airline and fight for the maximum compensation award for you. We deal with all the legal worries, so you don’t have to! Your rights as an airline passenger are protected by EU Regulation EC261 / 2004. This regulation means you are legally entitled to compensation for flight delays, overbooking, cancellations, flight re-routing and denied plane boarding. If as a result you arrive more than 3 hours late to your destination you may be entitled to claim compensation from the airline. This compensation can be as much as €600 per passenger, meaning if there was more than one person in your party they should also be eligible to claim. Why use Flight Delay Specialists (FDS)? We do the hard work for you, we deal with all communication to and from the airline on your behalf. At FDS we have a specialist processing team who are dedicated and committed to making sure your claim is handled professionally and efficiently, keeping you updated regularly throughout the process. The team here have extensive legal knowledge and experience in claiming from airlines, we are able to fight hard for what you are legally entitled to. Evidence shows that more often than not the airlines will either ignore letters direct from passengers or try to say that their claim is not a valid one. What happens if I do not know the exact information about my flight? Don’t worry, we will work with you to make sure you have enough information and evidence needed to claim with minimal effort on your behalf, all you need to do is sign our Terms Of Engagement and we can start to investigate if you have a potential claim. We work on a ‘No Win No Fee’ basis, this basically means that we only get paid if you do. If (and only if) your claim is successful you will need to pay FDS a fee as set out in our terms and conditions. We do not charge upfront fees. Yes, If you travelled with friends or family on the same or a different delayed/cancelled flight we can help fight all claims. We’ll even give you a £25 gift voucher for each household with a successful claim. This depends entirely on the airline and how quickly you provide all the information we ask for. FDS will fight your claim on your behalf to make sure of its validity and gain acceptance on your compensation in the quickest time possible. Do I pay if unsuccessful? No, you do not pay FDS a single penny if your claim is unsuccessful. We anticipate between 8 to 12 weeks depending on your claim and airline. FDS fight your claim on your behalf to make sure its validity and gain acceptance on your compensation in the quickest time possible. The first step is to submit all of the details above, we don’t even require your flight details just where you flew from, to and the date that you flew on. With this information we will go out and find all of the relevant details to support your flight claim. This whole process will only take a few minutes and once you’ve submitted your details our team of specialists will do the rest for you. From the moment you click on the start my claim button one of the team will begin building your case, we will give you a call on the number that has been submitted within 24 hours (business days) to get more information from you. At this stage we have now composed our letter that we will be sending to the Airline regarding your compensation claim. Throughout this process we will keep you updated with any changes to the case at hand. Our team has all the relevant knowledge to form a solid argument to claim compensation for delayed flights using all of the relevant laws and legislation that has been brought in by the EU courts. While making a claim our team of experts will always act as efficiently as possible ensuring that you get any compensation money owed as quickly as possible. If you’d like to find out what stage we are up to regarding your compensation claim for flight delays then feel free to call on 0161 983 0000 and we will be happy provide any of the information required. Sometimes airlines will simply refuse to pay out valid claims. In those cases, we initiate a legal process and if need be, one of our solicitors will issue legal proceedings against the airline in court. If we do take a claim to court we tend to see that we win 95% of our cases however throughout this process we will cover any and all legal fees/additional costs incurred. Remember we work on a no win no fee basis so if your claim isn’t successful you wont owe us any money. Whether your flight has been delayed or cancelled completely you could be entitled to get a refund thanks to the Denied Boarding Regulation. Below we will be running through what assistance/compensation you will be entitled to from the airline that you were flying with. In a survey that was conducted in 2014 with 2079 adults from the UK the problem that was mentioned the most as the worst holiday experience was flight delays and cancellations. If you board a plane within the EU on any of the airlines whether they’re based in the EU or outside you will be covered by what is known as the Denied Boarding regulation. The Denied Boarding Regulation enforces that all airlines operating are obliged to offer you help/compensation if your flight has been delayed by a certain amount of time (3+ hours) or cancelled completely. What does the denied boarding regulation apply to? • You have a confirmation of your flight being booked. • You have checked in to your flight on time, or if there hasn’t been any check in time provided by the airline 45 minutes before the flight had been scheduled to leave. Am I Able to lodge a financial claim? If your flight is cancelled then you are protected by the Denied Boarding Regulations however the amount of compensation that you are able to claim is dependent on the length/distance of the flight and if there were any alternative flights that were offered by the Airline, it can also depend on the actual excuse for the flight cancellation. If the airline offers to reschedule your flight one hour before the original flight was meant to leave and 2 hours before it was meant to arrive then you will not be able to claim any form of compensation. However if the Airline does not offer you a flight that falls within the timeframes that we have provided or they offer no alternative flight whatsoever you will be able to claim compensation. If the Airline that you are flying with is able to prove that the flight was delayed by Extraordinary Circumstances then there will no compensation that can be paid out. These are situations that are outside of the control of the Airline such as any security risks to the flight or if there is any severe weather that would make the flight dangerous. These circumstances however do not affect your right to being assisted by the airline throughout this time. If you’re here then you have made up your mind that you want to claim compensation from an air carrier for any flight delay that may of occurred. There are certain people who have tried themselves but have failed because the airline wouldn’t listen to their claim. Well you no longer have to search, here at flight delay specialists we do all the hard work for you meaning you don’t even have to lift a finger throughout the whole process. We were established for one sole reason and that was to aid the people of Great Britain claim any money back that is owed to them from Airlines that have had any flight delays over 3 hours when flying inside the EU. 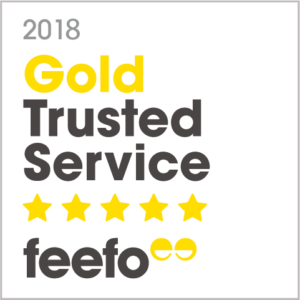 As you can see from all of the reviews on Feefo we provide customers with a 5 star service from beginning to end we will be with you every step of the way keeping you up to date with all of the going on related to your case. So whether you’ve tried to make a claim and been knocked back or if you don’t want to handle all of the work then we’re here to help and make sure you get any of the moneys that are currently owed to you. With Flight Delay Specialists we make claiming compensation an incredibly simple process, the only leg work you will be required to do is fill out the form you see above this section with all of the details you know about your flight (don’t worry if you cant remember your flight number we will get one of our specialists to locate the flight for you). Once you’ve filled out the form we will get in touch and run through all of the details and steps that we will take. We will also get more information on what it was that delayed the flight which we will add to your own personal case file. During this time we will also let you know what the claim estimation is. We work on a no win no fee basis which means even if you don’t have a potential claim we wont charge you a penny for our advice. Here at flight delay specialists if your case is to go to court we would actually go as far as to represent you when making the claim, which means you don’t even have to go one of our solicitors would stand in for you make their argument and try their hardest to win the case for you. • We will issue any necessary papers that will be forwarded onto the airline if they do not respond to your claim within the set 30 day time period. • If the case is to go to court we will represent you and pay any court fees that may be required. • We will supply reports from experts in order to argue against any of the technical defect or weather arguments that they try to bring up. • Throughout the case you will still be held to our no win no fee so even if this wasn’t to be successful in court you would incur no fee of your own and we would take all the cost. Call our Specialist claims team today on 0161 983 0000 or click below to complete our simple claim form.